Frankie joined Brookings Radio in Febuary, 2005. Frankie is one of the smiling faces that greets you at the front desk or on the phone. As a joint venture with Erin, Frankie’s duties are assisting in preparing the commercial logs on a daily basis, assist customers with the Radio Auction, and many other different jobs that come across the front desk. Frankie was raised in Norfolk, Nebraska and moved here in 1995 with her son, Michael who is now 28. Her favorite things to do are spending time with her family and friends, especially with her 11 great nieces & nephews. One of her favorite things to do is to serve others. She’s been the coordinator of The Blessing Tent since 2001 which provides free clothing and household items to those in need. 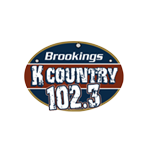 Frankie believes Brookings Radio isn’t just a great place to work but they’re part of her extended family.